For Sale to US & Canada. American made wrought iron gates that fit. Shop small decorative garden gates to very large custom double driveway gates. Yes, we'll make you a vintage wrought iron gate for your front walkway measuring down to the inch. One size does not fit all when it comes to fencing and gating your outdoor patio, decking, or even your driveway. We've built tiny, narrow gates, gates for blocking off rooms, small gates for pets and rustic gates for grand driveway entrys and more. Every day, we sell custom iron worked gates fitted to a new situation. We continue to add wrought iron fence accessories so you can pick the right style and size for your home or business. Go to our Fence Post options that help you specialize your gate and fencing look. 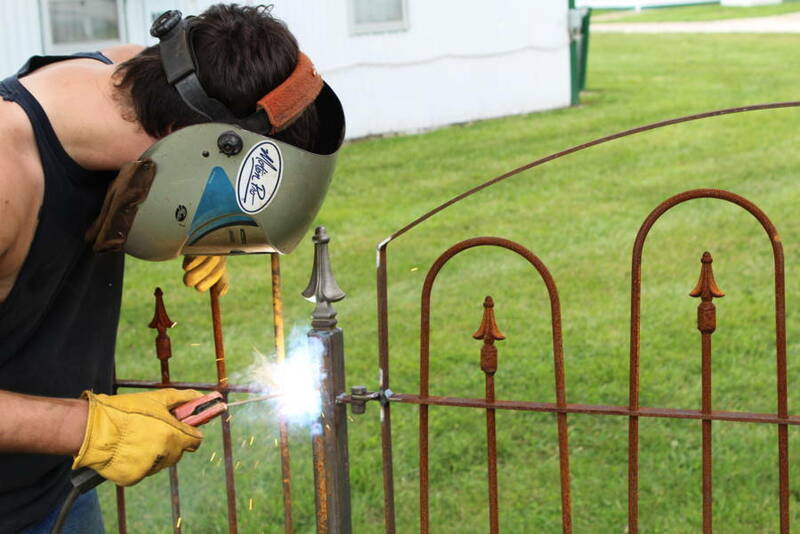 Wrought Iron corner and gate posts make a difference in your iron fencing project.